Video poker first appeared in the world’s casinos as early as the mid-1970s. Inventor Si Redd pitched the idea for video poker to executives at slot machine manufacturing company Bally. They decided to stick to slots so Mr. Redd formed his own company – SIRCOMA (Si Redd’s Coin Machines) – and made the first prototypes. Although crude by today’s standards, the simple draw poker machines were an instant hit. The machines were especially popular in casinos with people who felt intimidated by the crowds at the tables. 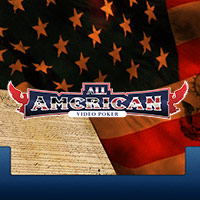 Today online video poker comes in many shapes and sizes and Slots Heaven Australia has nearly 20 versions of the game to enjoy. 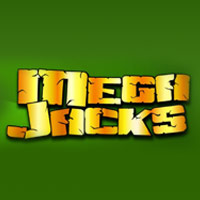 The really good news: you can use your $100 welcome bonus plus 200 free spins to try them all. Just make your first deposit and we will triple your stack. That’s a very warm welcome bonus worth a cool 200 per cent. Online video is as easy as pie to play. In the basic game, you are dealt five cards, you can then discard as many as you like in exchange for new cards. What remains is your hand. If you are lucky, you hit a winner. The pay out is dictated by the pay table. It also varies according to your initial bet. 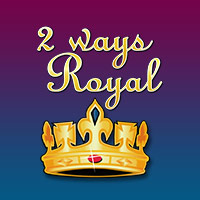 You normally need to bet the maximum to win the jackpot which –in most online casino games – is a royal flush. However, there are so many different versions of video poker, you should always check the rules and pay table before you play. In some games, just a matching pair of cards is a winner. 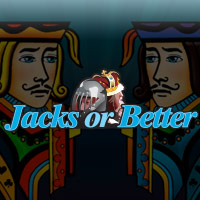 In other games, it’s a pair of jacks of higher. 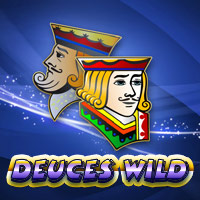 There can be wild cards, bonus cards, and more. In some games you can play either 25 or 50 hands simultaneously. 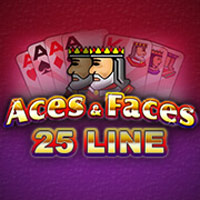 Let’s take a look at some of the different online video poker games available at Slots Heaven Australia. 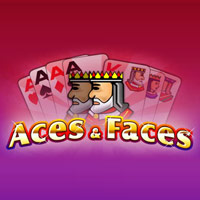 Aces and Faces has enhanced jackpots for a hand that has either four aces or four picture cards. 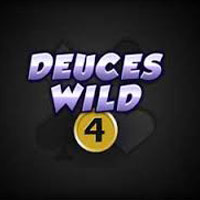 Deuces Wild and Joker Poker both have wild cards that count towards any hand whilst the All American Video Poker game has a double bonus feature where you supersize your winnings. The action gets really frenetic when we try the 25 and 50 line games. Here you get to play multiple hands at the same time. You hold your cards as per normal but get to play up to 50 hands. This is fantastic if you are lucky enough to get a great hand on the first deal. 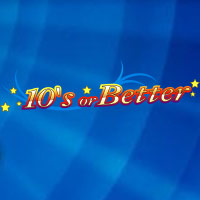 It’s a particularly good game to try with your $100 welcome bonus plus 200 free spins. Get lucky and you stand to clean up. 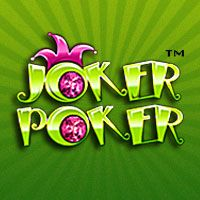 Although the online video poker offering at Slots Heaven Australia is second-to-none, it’s famous primarily for its comprehensive selection of slots. On offer 24 hours-a-day is a mind-boggling smorgasbord of three and five reel entertainment that will tickle your fingers and have you spinning yourself into frenzy. There are the classic, old-school, single pay line fruit machines – basic but very rewarding. Then we have the feature-rich, multi-pay line games, with animations and even built-in loyalty programs that reward repeat play and increase pay outs as your progress through the game’s narrative. Whatever your online casino preference, from video poker to plain old pokie, Slots Heaven Australia has a winning game for you. If you’re still not sure, why not take advantage of our $100 welcome bonus plus 200 free spins and try it today. A 100% bonus means you are winning before you play a single hand.